As I was chatting with Doug Dutton in his backroom office at Dutton’s Brentwood Books, the back door suddenly opened and a well-dressed entourage stormed into the room and introduced their special guest, alienated writer, Salman Rushdie. Rushdie entered the room with several body guards in tow and proceeded to the front of the store where the staff had been assembled for this hastily planned drop-by visit to promote his latest book. Doug explained that a publicist from Random House had called to set up a private meeting with bookstore employees to talk about his new book. Rushdie had been forced to live covertly with 24 hour protection after Iranian leader Ayatollah Khomeini had issued a lethal fatwa after the publication of The Satanic Verses in 1988. All subsequent promotional book tours had promptly been cancelled. Rushdie seemed truly excited about making a connection with the staff members in attendance at that early morning gathering. We onlookers suddenly felt like we were characters in a spy thriller, as men in dark suits who wore ear pieces stood at each doorway and occasionally looked outside toward the patio and street front. 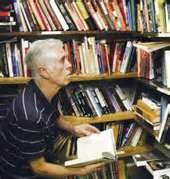 Although that particular morning in 1996 may not have been truly representative of my typical visit there, the experience that day was one example that might best describe the spontaneity and vitality Dutton’s Bookstore had always held for me. The Brentwood store afforded many happy hours for Los Angeles Westside booklovers, but the back-story really had its beginnings when Doug’s parents, Bill and Thelma Dutton, opened their original North Hollywood store in early 1961. That paved the way for a family business which would last for almost half a century. Two of their sons played vital roles in continuing the legacy they had only begun to create years earlier. The Dutton’s are among a few noteworthy families who were instrumental in forming a vibrant Southern California bookselling community. The names of Vroman, Fowler, Zeitlin, Epstein, and Hunter, were the early pioneers in helping shape Los Angeles book culture, dating back to the late 1880s. Together, these families formed a bookselling tradition that has now been indelibly woven into the rich cultural tapestry ofSouthern California history. Davis, the oldest Dutton son, returned from his study and travel abroad in the 1970s to run his parents’ North Hollywood store. Most customers would have never confused this store with a Barnes & Noble, which offered its wide aisles and plush-carpeted splendor. Dutton’s Books was a hodgepodge of strewn books scattered on shelves, tables, and cluttered floor. This is not the place you wanted to be standing during a Southern California earthquake—even a minor one. Dave was a masterful bookseller who knew where each and every beloved volume was hidden among the nooks and crannies of his small book kingdom. His working knowledge of books was unparalleled among the many bibliophiles I met throughout my years in publishing. He combined his infinite book knowledge with an even temperament that exuded patience and caring toward his customers. He had the appearance and demeanor of a senator, but had made a far wiser career choice when he chose the book business. Dave eventually opened a couple of other locations. He rented a small space which was not far from his North Hollywood store and opened another spot in the Arco Center in downtown Los Angeles. Many of us teased him afterward that perhaps the real reason for his expansion was to unburden the main store from its severe overstock. He never denied our casual observation. The North Hollywood store always reminded me of scenes from the old sitcom, “Cheers.” When a customer walked in the front door, they were likely greeted by name and were made to feel that the store was their second home. Dave was a hands-on owner and was famous for exchanging friendly greetings with his customers and then effortlessly guiding them toward their book. He had an uncanny knack of overhearing casual conversations throughout the two-room store, and orchestrated the floor like a movie director on the set with his crew. He either had radar-like hearing, or simply had other-worldly awareness about what a customer was thinking. Younger brother, Douglas, bought Brentwood Bookshop in 1984 and renamed his store, Dutton’s Brentwood Books. He quickly acquired most of the adjacent shops in the two-story horseshoe-shaped aging structure on San Vicente Boulevard. The various singular units each faced the open-air shaded courtyard with its tables and benches. The patchwork effect wasn’t likely the way he would have initially drawn it up, but it all worked surprisingly well. Business surged dramatically during those first few years in Brentwood as word spread about this comfortable and peaceful cultural oasis. It became a calming refuge for booklovers to come and leisurely spend part of their day. Doug opened what he described as “the obligatory coffee shop” in the same complex. He begrudgingly gave into the trend that you must serve coffee if you sold books. The Red Door Cafe actually showed a profit after its first year, which I think may have ultimately been somewhat disheartening for him, given what measures were now necessary in enticing customers into a bookstore. The Brentwood store was immediately in demand among major East Coast publishers for appearances and signings by its touring authors. It became a “must-stop” for every big-name writer. Jane Smiley, Robert Stone, Raymond Carver and Alice Walker appeared at Dutton’s to read from their most recent work, and then sat patiently behind a desk signing their books as the line of customers snaked out the door and onto the patio. In fact, the courtyard patio was used often for signings and offered a greater space and visibility for attendees to participate in the evening’s event. The two winding staircases leading to the second floor offices of the outdoor complex afforded customers a better view of the speaker. 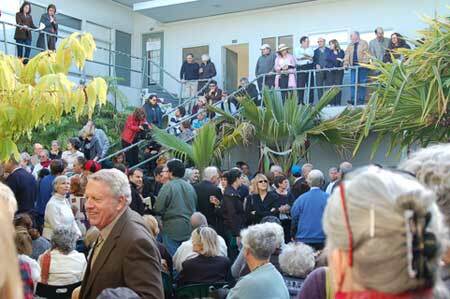 Numerous parties were held on the patio, which offered an intimate atmosphere for friends of local and visiting authors to gather during events. Dutton’s featured its own stable of authors who produced novels during the period they worked in the store. Diane Leslie’s two best-selling novels, Fleur De Leigh’s Life of Crime and Fleur De Leigh in Exile, were both published to critical acclaim. 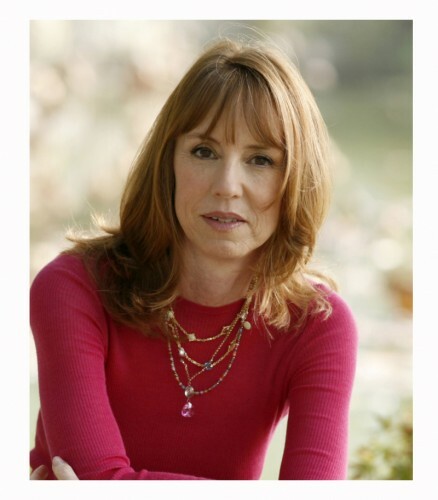 Lisa See has enjoyed a successful writing career based on her Chinese-American family, and her books are now perennial best-sellers. On Gold Mountain launched her career in 1995, and was followed by a string of successes in subsequent years including: Snow Flower and the Secret Fan and Shanghai Girls. The late Scott Wannberg was the resident store poet who sported an imposing frame and an engaging personality. He worked the front counter and offered his not-so-subtle recommendations about what books he thought you should be reading. If you caught him on the right day, he might quote from one of his many poems he had written. 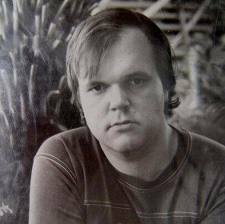 He made regular appearances on the poetry circuit and became well known as a spontaneous and unpredictable writer. He had half a dozen books of poetry published and the last one was by actor Viggo Mortenson’s Perceval Press. 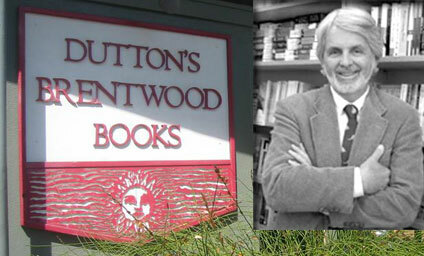 Dutton’s provided a welcoming haven for local writers, and there were legions of them that proudly called the Brentwood store home. T.C. Boyle loved to browse for hours and would often listen to Scott’s recommendations when he first arrived. Singer Randy Newman was a voracious reader who packed two suitcases when he was on tour—one for clothes—and one for books. The stacks of his book purchases sometimes required two trips to the car. One day as I entered the store, I spotted Doug in conversation with three gentlemen on the patio, all of whom I recognized as successful local writers. Jack Miles, Jonathan Kirsch, and Kenneth Turan had all written successful biographies in recent years, but I hadn’t actually reflected on their collective subject matter until I met Doug for coffee after his visit with them. He mused, “I just had a great chat with the biographers of God, Moses, and Patty Duke, and I’m not sure to which one of them I should have given the most attention.” As we analyzed his dilemma, we collectively decided that Kenneth Turan and his biography of Patty Duke clearly had the edge, principally because Turan had a bit more access to his subject than the biographers of God and Moses. But, then again, we knew that both Miles and Kirsch were privy to many inside sources. The nucleus of the staff at Dutton’s Brentwood was in place for most of the store’s 24 year run. Two married couples, who were longtime employees, essentially raised their young children at the store. There was a brief period when one had to be careful navigating the back room amid the playpens, toys, and crawling toddlers. Doug could often be seen in the store with a baby bouncing on his shoulders while helping a customer. In fact, Dutton’s was awarded a citation from the State of California for its “family friendliness” policy. In later years, Dutton’s North Hollywood and Dutton’s Brentwood Books were forced to contend with the stark realities of the changing face of the book business. The discounting of the chain stores now seemed like only a mild threat to independents compared to the advent and ultimate impact of online bookselling. Loyal customers tried mightily to fight against the notion of ordering their books online at hugely discounted prices, but slowly the impact of the Internet was felt in bookstores all across the country. The tide had turned and there was very little a small retailer could do to change the course of a dramatic technological revolution. Dave Dutton decided to close the North Hollywood store in 2006, and opted to sell much of his valuable inventory online. 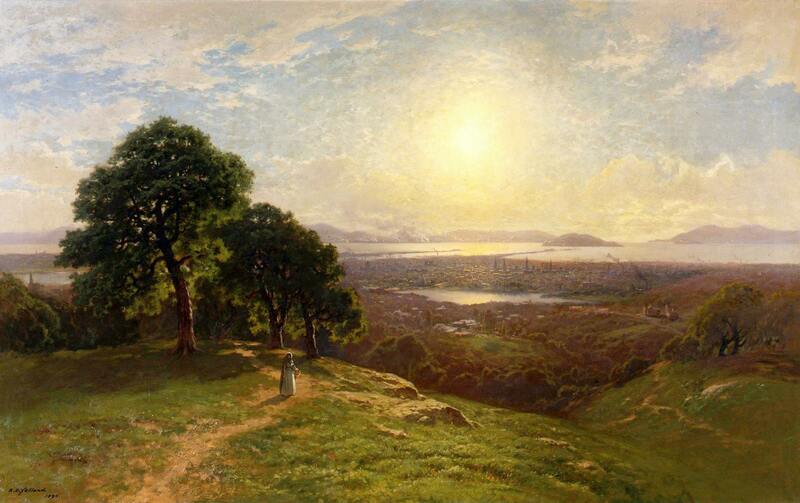 He had also begun to enjoy his trips to the Northwest and began to plan a possible move to Washington State. He seemed relieved after he made the decision. His long life spent in retail had been wearing on him emotionally and physically, and he felt like it was time to let it all go and find some time for relaxation and reflection. After some ambitious remodeling plans by the landlord at the Brentwood store, Doug endured a brief and unhappy chapter in his bookselling life when he agreed to open a store in Beverly Hills (in case he would have to abandon the Brentwood location.) The store never received the city support that had been promised, and closed after a brief run, which only created more financial hardship for the struggling Brentwoodshop. In 2008, Doug made the tough decision that it was time to close his Brentwood store. The closing turned into a dramatic public mourning as customers tried to deal with the loss of what had become a beloved Westside cultural institution. It was front page news in the Los Angeles Times, and the end of the landmark Dutton’s era commanded national headlines as well. The goodbye party drew hundreds of customers and friends of the store, as well as the attendant media attention that April evening. There was genuine sadness about the loss of this meeting spot, but many of the tears shed that evening were likely as much about the passing of an era and a unique time and place that offered human connectedness—which we all sensed was slowly slipping away. The bookstore era was not officially over because of Dutton’s Books’ demise, but it was reeling dramatically, and the prospect as to its prototype’s survival was not terribly encouraging. Doug Dutton, a classically trained pianist and musician, is now teaching at several local Southern California colleges. He is a professor and board member at the prestigious Colburn School of Music in downtown Los Angeles. His present life is extremely active as he criss-crosses the city to his various classes on four different college campuses. Doug has had two great passions in his life—books and music. His emphasis has now turned toward the second chapter—music. However, since he owns a home library of more than 5,000 volumes, I doubt seriously if he will be giving up his passion for that beloved first chapter any time soon. The cultural impact of the Dutton family extends well beyond retail bookselling. Denis Dutton, the middle brother, studied philosophy at the University of California, Santa Barbara, and eventually became Head of the Philosophy school at the University of Canterbury in Christ Church, New Zealand. He is the founder of the much-praised website, Arts and Letters Daily, which has placed him among the most influential media personalities in the world. Oxford University Press published his last book, The Art Instinct, in 2009. Denis died unexpectedly in December of 2010 after a short illness. Dory, their younger sister, has enjoyed a diverse career in the book field. She has been a publisher’s representative for many years and handled multiple publishers’ lines with her own commission sales group. She once managed the Norton Simon Museum Gift Shop and was a pivotal figure in the initial creation of the Los Angeles Museum of Modern Art Gift Shop. Dory has long been admired and respected in the Southern California book community. Douglas, Davis, and sister Dory, all still live in the North Hollywood area—just a mere stone’s throw from the old family store on Laurel Canyon Boulevard, where the Dutton’s bookselling journey had begun more than a half century before. Bob Vickrey is a retired publisher’s representative who spent an inordinate amount of his life in Dutton’s Bookstores. He is a freelance writer whose columns appear frequently in several Southwestern newspapers. He is a member of the Board of Contributors for the Waco Tribune-Herald. He lives in Pacific Palisades, California.